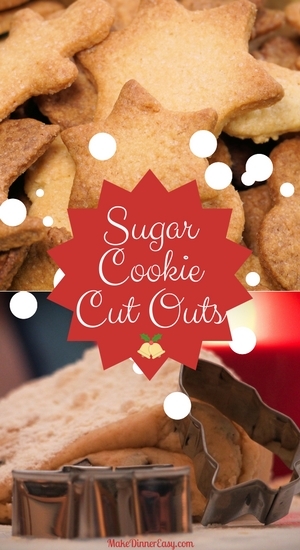 My sister-in-law Suzanne, who is a marvelous baker, graciously shared her flavorful Cut Out Sugar Cookie Recipe. Although she works full-time, she makes an amazing assortment of Christmas Cookies each year including this easy sugar cookie. To make it even easier she suggests decorating them before baking if you wish. To see more of Suzanne's cookie recipes, check out Bourbon Current Cookies and Chocolate Orange Cookies. Cream butter, cream cheese and sugar until fluffy. Add egg yolk, beat. Add salt and extracts, beat. Add flour, mix until blended. Refrigerate at least two hours or overnight. Pre-heat oven to 375 degrees. On a floured surface, with a floured roller, roll out dough between 1/8” and 1/4” thick. If dough is too sticky just gently roll again with more flour. 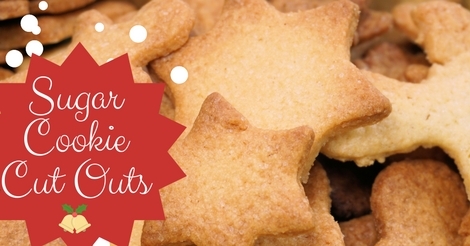 Cut into shapes with a cookie cutter. Place on an oil sprayed cookie sheet. If you like-decorate with non-melting sprinkles and/or dragees (the little silver or gold balls). Bake 7-10 minutes until light golden brown. Remove from cookie sheet onto a rack. Decorate, if/as desired. Notes: I like to decorate the cookies before they bake, makes the job easier for me. If you like fancier cookies, make some frosting and decorate afterward.